It’s been a while since the last Warriors Orochi. If you ignore the remakes and HD remasters of Warriors Orochi 3, the last time we had a truly new game in that series was back on the PlayStation 3, which was the initial launch of Warriors Orochi 3. A lot has happened in the years since. 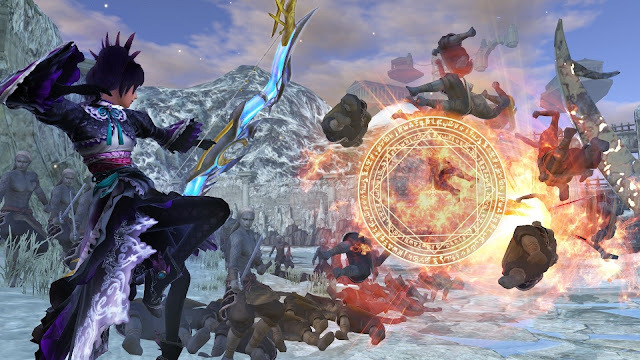 Koei Tecmo launched a new franchise in Warriors All-Stars, for one thing. Given that Warriors Orochi was all about bringing together Koei’s favourite characters across multiple franchises, it almost seemed like Warriors All-Stars could be a replacement for Warriors Orochi. But then Warriors Orochi 4 was announced, and, intriguingly, in terms of its cast, it seemed to be taking a step back. 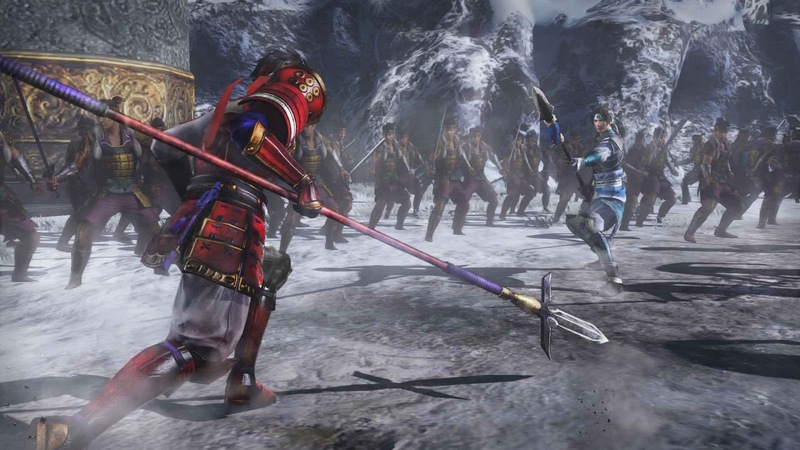 Where Warriors Orochi 3 pulled in heroes from most of Koei Tecmo’s franchises, Warriors Orochi 4 has narrowed the roster right down to Samurai Warriors, Dynasty Warriors, and original Warriors Orochi characters. 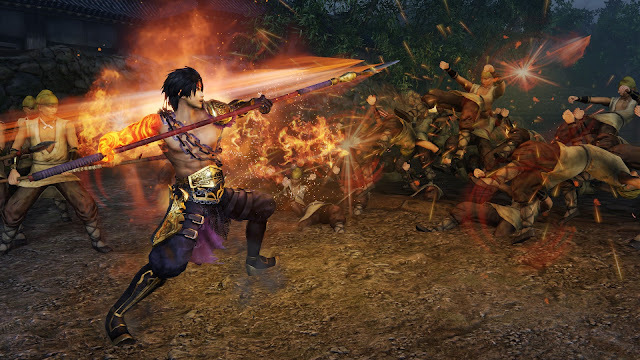 At Tokyo Game Show, I asked Furusawa Masaki, Omega Force senior manager, and the producer of Warriors Orochi 4, if this was a sign that Warriors Orochi and Warriors All-Stars would run concurrently; Warriors Orochi to focus on the expanded Samurai Warriors and Dynasty Warriors rosters, and Warriors All-Stars to cherry pick a few characters each time as part of a broader cast drawn from everything Koei has done in the past. “That’s not our intention, but with Warriors Orochi 4, we are mainly focusing on the Dynasty Warriors and Samurai Warriors franchises,” Furusawa said. “We’re doing this for two reasons. Firstly, to go back to the roots of the series, and really give ourselves room to show each of the characters. It’s genuinely impressive how seriously Koei Tecmo appears to be taking the narrative of Warriors Orochi 4. The company recruited Murayama Yoshitaka, of Suikoden fame, to help build the story of the game and, while I didn’t get enough time with the game in my TGS hand’s on to get a full sense of its narrative, even within the level that I did get to play, there was a lot that could be best described as intriguing. There was magic. There were ghostly boss enemies. Abe no Seimei – Japan’s equivalent to Merlin - showed up for a cut scene, indicating that he might have a very big role this time around. There’s clearly plenty of material in there for Murayama to work with, though with 170 characters, by Furusawa’s own admission, actually creating a compelling story with so many characters to work with has been a challenge for the team. “Being able to definitely illustrate the stories of all of the characters is quite difficult,” Furusawa said. “And being able to handle all 170 characters equally, that would be extremely difficult. So instead we focused on a couple key characters, as far as the narrative goes. 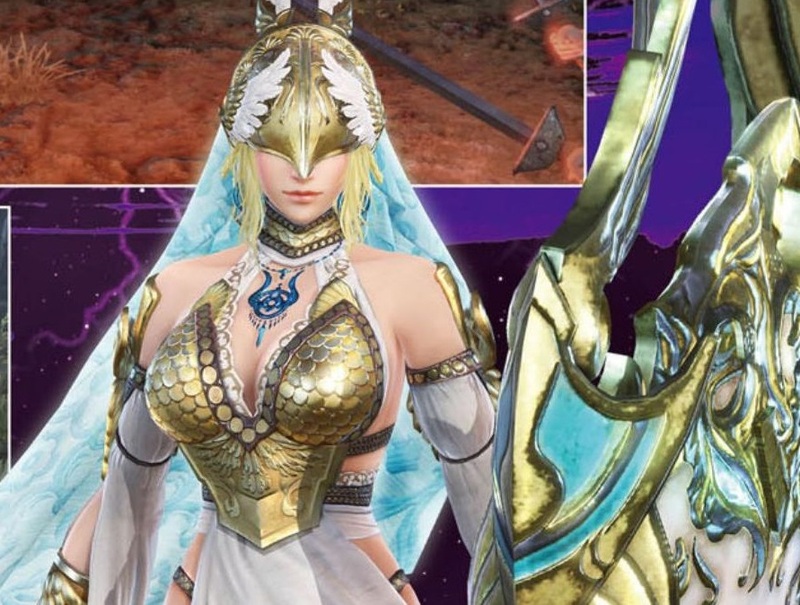 In my time with the Warriors Orochi 4 demo, one of the things that definitely stuck with me was how different each of the characters were. Special attacks, right through to the way they moved, was substantially different enough that I felt the need to keep swapping through the characters, depending on the situation. With those game-changing super-specials in, it’s quite clear that balancing the ideal party from the 170 characters available will be a big part of Warriors Orochi 4’s appeal. If the narrative is as important as Furusawa is promising us, the role of the titular Orochi is going to be an exciting one. Orochi is the equivalent of the Greek hydra in Japanese mythology, as a many-headed snake, only Orochi is also a less bestial, and more malevolent threat. I’ve been quite interested in why Koei Tecmo would make Orochi the central protagonist of the series for a fair while now, and why his presence has been been relatively inconspicuous in the Warriors Orochi 4 material so far. According to Furusawa, it’s the monster’s sheer power that’s appealing. “He has been a popular choice,” Furusawa said. “He is an evil character, because he is someone who has the power to destroy everything. But then at the same time, that's a cool element that people kind of idolise as well. 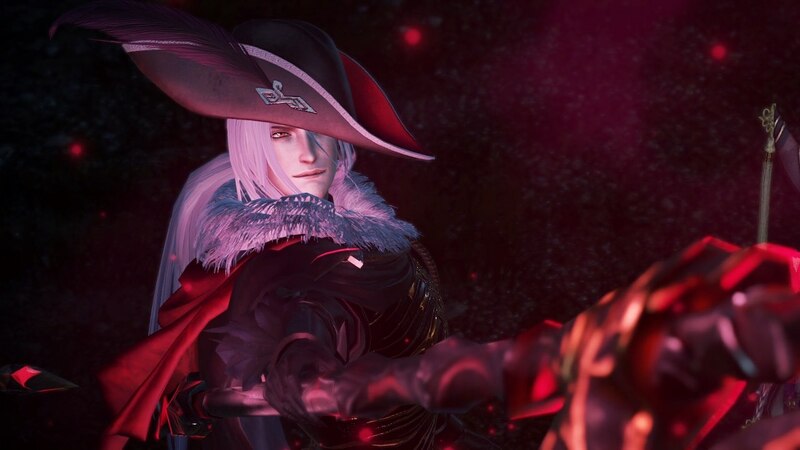 “We know that how we approach him in each game is something that everyone is curious about, and something that we're also very careful about when showing the games up to release. So this time in this game with Warriors Orochi 4, people can look forward to see what his involvement is with the new gods that are appearing in the game, as well as with the other characters. To help whet player’s interest, Koei Tecmo did release a trailer at TGS that showed Orochi and Shin Orochi in a battle. Again, it was just a couple of seconds, so there is still so much to discover about this, thus far elusive plot. Another area that’s a bit of a mystery at this stage is the presence of characters from European mythology. For a game that, by Furusawa’s own admission, has narrowed the focus down to characters from Dynasty Warriors and Samurai Warriors, it was a bit surprising to be able to run around as Athena in the demo. It was a welcome surprise – she’s a hell of a fighter – but her presence is yet a mystery that has yet to been fully explained. For Furusawa’s part, he’s remaining tight lipped on the narrative role of those characters as well, though he did say that they might help to make the rosters relatable to people who are less familiar with Japanese and Chinese historical warlords. “The really big reason for the Greek and Norse characters we’ve got in the game is that we think that many people are already familiar with the characters and mythologies,” Furusawa said. “You say ‘Zeus’, and people all over the world know who that is. We thought that it’s a point that people will latch onto, and they’ll be interested in seeing how those characters are going to be used. As with any Warriors game, there will be a percentage of people that will dismiss them for being ‘button mashers’, and nothing is going to change those people’s opinions. A single stage and a 10-minute demo isn’t anywhere near enough to get a sense for how enjoyable the battle system will be across its entire run time. Additionally, as you’ll see above, the narrative is filled with potential, but thus far still very much a mystery. What I do know is that I had an absolute blast with that demo, and while I was rather enjoying the “all-stars” mashup of Warriors Orochi 3 and Warriors All-Stars, if Warriors Orochi 4 can deliver a great plot and allow me to enjoy my usual favourite characters without feeling left out, I’m going to be on board all over again.